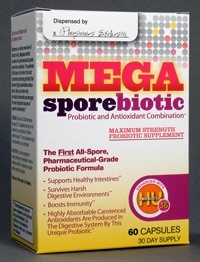 MegaSporeBiotic is an all-Bacillus species, pharmaceutical-grade probiotic supplement with 5 different species in it. It is distributed by Physicians Exclusive in Glenview, Illinois. Produce highly absorbable carotenoid antioxidants in the digestive system. Which Probiotic Strains are in MegaSporeBiotic? What Do Marketing and Research Show About These MegaSporeBiotic Bacteria? If you haven't read my overview of Bacillus species, then I recommend that you do that before delving into the specifics about this product. For more information on the general characteristics of this species, see this page. Bacillus coagulans - No details on the strain used were provided. For information on general Bacillus coagulans characteristics, see this page. Bacillus licheniformis - No details on the strain used were provided. For information about Bacillus licheniformis in general, and a specific strain with information available in the literature, see this page. Bacillus clausii - No details about the particular strain used in the product were provided. For information about Bacillus clausii in general, see this page. What Other Ingredients are in MegaSporeBiotic? The other ingredients at the time of this writing are an undisclosed hypo-allergenic plant fiber prebiotic and a vegetable capsule. Please always verify ingredients before taking any supplement! What is the Manufacturer’s Recommended Dosage of MegaSporeBiotic? As with most probiotics, MegaSporeBiotic is recommended to be taken with food or shortly after a meal. The serving size is 2 capsules, which will yield 4 billion spore cells (more or less equal to CFU). However, the manufacturer cautions that persons that have a strong yeast issue or strong inflammatory conditions (Crohn’s, IBD, Ulcerative colitis, etc. ), or those who are just starting spore probiotics should titrate the dose up slowly. They recommend to start with 1 cap every other day for a week or until they can tolerate that amount, then increase to 1 cap per day using the same discretion and finally 2 caps per day. The contents may be opened and combined with a food such as applesauce. As with all probiotics, taking them everyday ensures that they remain active in your system. What are the Pros of MegaSporeBiotic? There are 5 different strains in the product so it is multi-species. It is listed as being non-GMO. Two of the strains are listed: Bacillus indicus HU36 and Bacillus subtilis HU58. Both of these strains are well-characterized and appear to not have toxicity or virulence capabilities. They also seem to fit the definition of a probiotic. Each capsule contains 2 billion organisms which is typical for products with Bacillus species. Bacillus species are spore bacteria, so they are able to revert to a dormant state rather quickly when conditions are not favorable for their growth. When conditions are favorable, they sporulate. This product is verified to be in 100% spore form. The capsule can be opened and contents sprinkled on food for children and pets. The HU36 strain is documented to have potent and bioavailable carotenoids in vitro and in mice. What are the Cons of MegaSporeBiotic? Before I begin on the drawbacks as I see them, let me say that there is a lot of controversy about this product on the Internet. I personally think most of that has to do with the misleading marketing, which I will explain further below. No clinical studies with this supplement have been performed to my knowledge, although this is not unusual in the probiotics world. Very few multi-species products go through clinical studies. I have heard that this supplement is supposed to be used in clinical trials, but as of August 31, 2015, no trial in the US to my knowledge has recruited participants. There is an unknown hypo-allergenic plant fiber prebiotic as an added ingredient. As a nutritionist, I like to know exactly what I am recommending to my clients to do my best to reduce the chances of any adverse reactions. There is no third-party verification that the bacteria listed on the product are actually the bacteria that are inside, minus contaminants. Only the total CFU is given so you don’t know how much of each species is present besides the 50 million Bacillus licheniformis spores which I found in some information on their website. A big con I see is that not all of the strains in MegaSporeBiotic are identified. If you read my pages on the Bacillus genus in general and some of the species, you will know that many probiotic experts advise knowing exactly which Bacillus strains you are taking because some strains listed as one species of Bacillus may actually be another species. Bacillus is one of those genera in which the difference between species and even strains can be deadly. If a company tells me that all of its strains are safe, but their product contains bacteria from a genus that has obvious unsafe species/strains, it would increase my comfort factor a lot if I knew the strains of all of them, could research them and could theorize what effect those strains together might have for a client. Also, by knowing the strain, I could determine for myself if they fit the definition of a probiotic. Telling me they are safe without providing details is not enough for me, personally. The biggest turnoff by far that concerns me is the marketing, some of which I believe is misleading. I heard a representative from the company speak at the NANP (National Association of Nutrition Professionals) conference in mid-2015 and I was concerned at how the information presented was skewed against other probiotics. 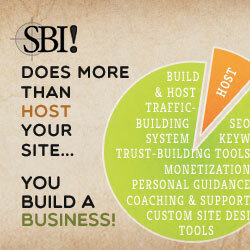 In my opinion, if your product is good, then state how it is good. Do not attempt to persuade me as to how good it is by making misleading statements about other products because I know otherwise. Are they all destroyed by stomach acid and bile salts? : Read some of the pages on studied Lactobacillus strains such as LGG and you will see that many lactobacilli are able to survive stomach acid and bile salts and make it through the entire digestive tract to be recovered in the feces. Also, although it is harder for many Bifidobacterium to make it through, even they can be recovered in feces when given orally. Breast milk is an excellent example of how Bifidobacterium species can be taken orally and make it through the digestive tract to colonize the newborn’s sterile intestines and also be recovered in feces. Are they not found in the environment, not evolved for life outside the gut? : Lactobacillus species are frequently recovered in spontaneously-fermented foods and drinks. Read my page on sauerkraut and you will see that the Lactobacillus species such as plantarum live in the cabbage and are able to reproduce and thrive in it under the right conditions. While you could add a starter culture when making sauerkraut, kimchi, beet kavass, and other fermentables, it is not necessary. Are they not natural probiotics? : What does “natural” mean anyway? There is no regulation of that term. Many Lactobacillus and Bifidobacterium certainly do satisfy the requirements to be defined as “probiotics” and they are not genetically-engineered. I think that qualifies them as “natural probiotics”. Is it true that even 100 billion cells would not be enough to stimulate the immune system? : I think the issue really is that stimulation of the immune system is not always a good thing depending on how it is stimulated. Although innate immune stimulation may help in the development of the GALT (gut-associated lymphoid tissue) or in fighting an infection, it may not be a good idea in some autoimmune diseases. Second, many established lactic-acid bacteria probiotics DO show immune stimulation (as well as modulation) as several of my web pages document. This supplement is only available through healthcare professionals from Physician’s Exclusive. If you are a nutrition client of mine and want to try this supplement, together we will discuss the potential use of this supplement for your particular needs through nutrition consultations. Is MegaSporeBiotic the Right Supplement for YOU? Only you and your chosen healthcare professional can decide if this probiotic supplement is right for you. It is free of most allergens, is shelf-stable and is a potent supplement of Bacillus species. Thanks to Gary for suggesting a review of this supplement! See this page to read about my approach to supplement reviews and my reviews of probiotic supplements.